RSVP | Please bring a Photo ID! Security at all levels is challenged by the countervailing trends of globalization and fragmentation. Improving and more inclusive security have been a cornerstone of progress toward peace and development in recent decades. That progress is now at risk. Please join USIP and the Friedrich Ebert Foundation for a discussion with experts from two regions who will highlight critical vulnerabilities and provide recommendations on what U.S. and international actors can do to reverse growing insecurity. 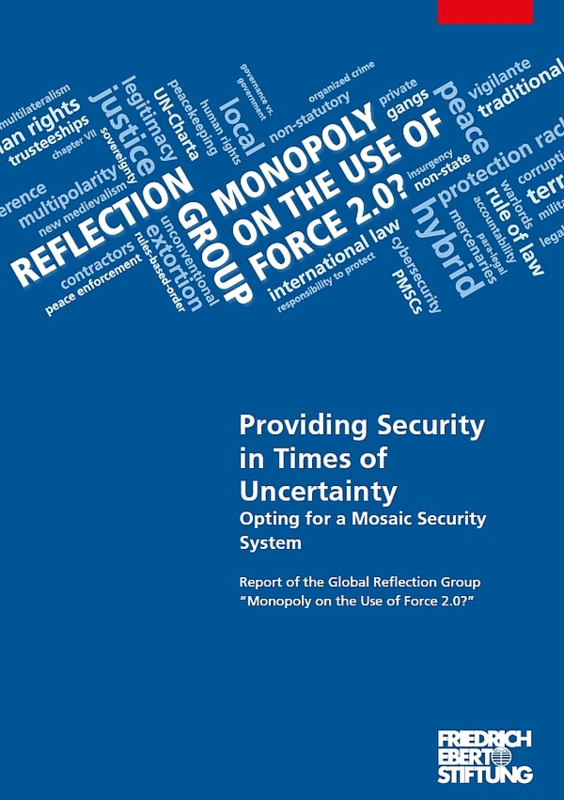 The event builds upon the Final Report produced by the Global Reflection Group, Providing Security in Times of Uncertainty: Opting for a Mosaic Security System. The report is the product of a group of twenty scholars and practitioners from different parts of the globe convened by the Friedrich Ebert Foundation over a two-year period to analyze trends in their regions and to develop practical recommendations to counter growing uncertainty and insecurity in many regions.